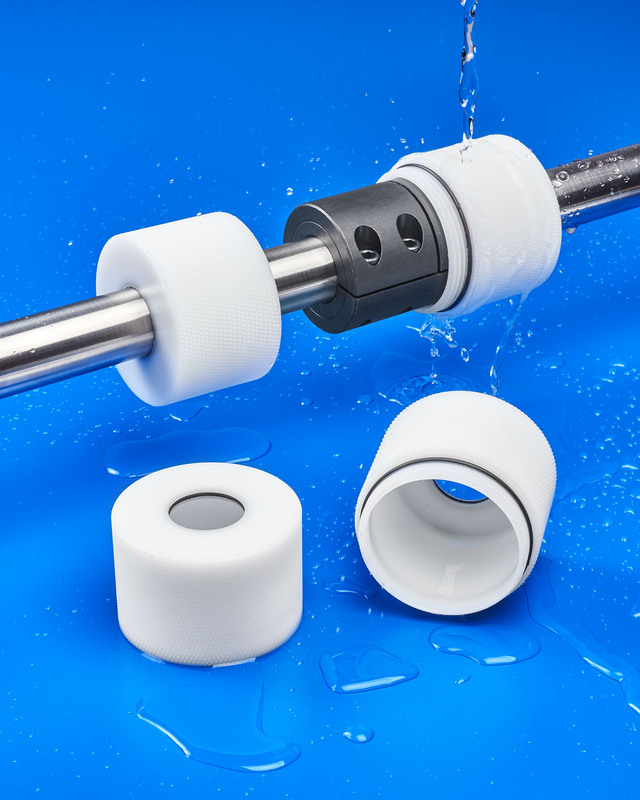 A new series of plastic covers for protecting rigid shaft couplings from hostile environments and permitting use in washdown applications is being introduced by Stafford Manufacturing Corp. of Wilmington, Massachusetts. Stafford Coupling Covers are designed to protect a rigid coupling from dirt, dust, and water and screw together tightly with an O-ring seal. Suitable for washdown applications, they can be produced from various plastics and manufacturing methods to fit straight-through and reducer style rigid couplings, depending upon design requirements. Available for 3/4” and 1” I.D. shafts, Stafford Coupling Covers can be machined from nylon, Delrin®, and other plastics including FDA approved materials and can be injection molded in OEM quantities with branding. Covers can also be 3-D printed in virtually any size for shafts up to 2”. Stafford Coupling Covers are priced according to design requirements and quantity. Price quotations are available upon request.